Six junior rowers from Saugatuck Rowing Club will compete for the United States next month at the 2018 World Rowing Junior Championships in Racice, Czech Republic. Representing the U.S. on the Junior National Team are Westporters Noelle Amlicke, 17, Harrison Burke, 18, Kelsey McGinley, 17, and Alin Pasa, 18, and teammates Caitlin Esse, 17, of New Canaan, and Isabel Mezei, 16, of Fairfield. 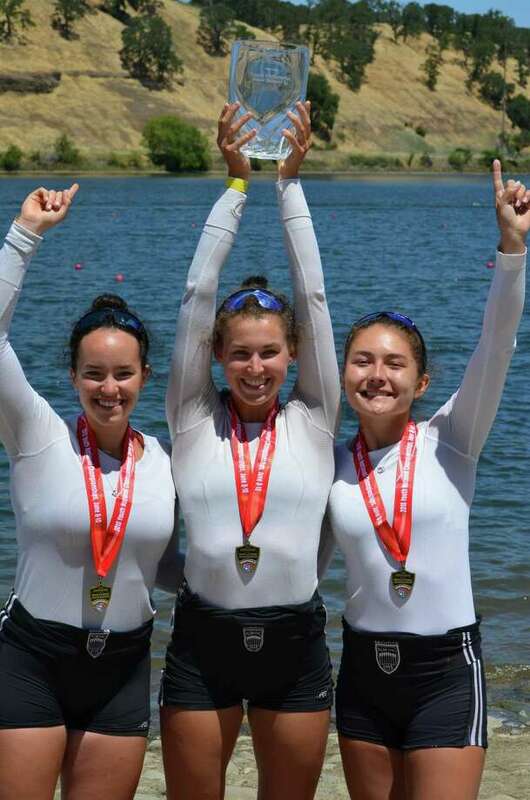 The six SRC athletes are among 59 junior rowers from across the United States who were named to the U.S. Junior National Team following a selection process that began in June. They and their USA under-19 teammates will compete August 8-12 in Racice, Czech Republic. Burke and McGinley are competing in the World Junior Rowing Championships for the third straight year, both having medaled in 2016 and 2017, and each will return to the same event as last year. Burke in the men’s 8+ event and McGinley in the women’s (non-coxed) 4- event. The SRC athletes will be well represented across the racing, with Amlicke in the women’s 4+ with coxswain event, Esse in the women’s pair event and Mezei in the women’s 8+ event, for which Pasa will be the coxswain. The five-day competition in Racice will feature U.S. crews in 14 events, including the men’s and women’s single sculls, double sculls, quadruple sculls, pair, four, four with coxswain, and eight. The U.S. roster includes athletes from 19 states plus Switzerland, with 13 rowers returning from last year’s team, including Burke and McGinley. Connecticut claims 13 athletes on the roster, second after California, which is home to 14 athletes. Complete press coverage, athlete bios and links to event information can be found at www.usrowing.org and www.worldrowing.com. At Saugatuck Rowing Club, the athletes train under the direction of the SRC coaching staff, overseen by Gordon Getsinger, director of junior rowing and junior girls head coach.